Acting Jobs>Agency Scout Jobs>360 Arts Management Books Now Open! 360 Arts Management books are now open. 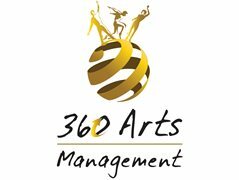 360 Arts Management is a London based Talent Management Agency specialising in representing clients from diverse ethnic cultural backgrounds from ages 5-Adult for film, TV, theatre, commercials, supporting artists & voice overs. 360 Arts Management is attached to an award winning part time performing arts school. If selected to be represented by 360 Arts Management, you will be required to have professional headshots. If you already have professional headshots, please provide them. There are no fees to join or to take part in workshops or auditions. All applicants welcome to audition especially those from ethnic backgrounds for roles in Film, TV , Commercials, Theatre, voice overs and supporting artist roles.